The Department of Research Programming held a research conference at our conference room on Thursday, November 5 to proceed with the confirmation of the results of joint research and the editing of “Report” to be issued hereafter. 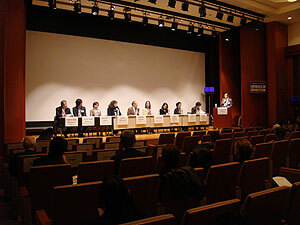 Three persons in charge of the Nara National Museum participated in the conference and the six people of our department attended – Director Tanaka, Shirono, Torimitsu, Tsuda, Emura and Tsuchiya. We discussed how to execute the report of results obtained by researching the pedestal used for reading stored in Kasuga Taisha Shrine, the plate pictures on pedestals of Sakyamuni Buddha trinity and the Buddha of Healing stored in the Golden Hall of Horyu-ji Temple last autumn, and Five Hundred Luohan stored at Daitoku-ji Temple this May and September. 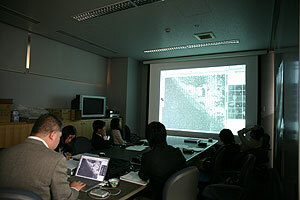 Based on this conference, we are now editing the report of the results on the pedestal used for reading stored in Kasuga Taisha Shrine and the plate pictures on pedestals of the Sakyamuni Buddha trinity and the Buddha of Healing stored in the Golden Hall of Horyu-ji Temple for issuance at the end of this fiscal year. The Department of Intangible Cultural Heritage holds a conference on the study of discussing various problems concerning the conservation and inheritance of intangible folk cultural properties every year. 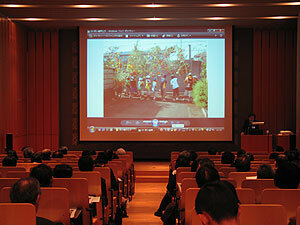 We held the fourth conference with the theme of “inheriting intangible folk cultural properties and their relationship with children” at the seminar room of our Institute on November 19, 2009. 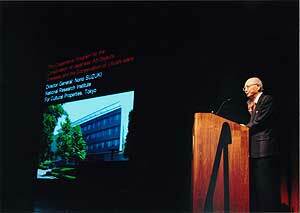 The declining birthrate and a growing proportion of elderly people have also greatly affected the inheritance of folk cultural properties. In such circumstances, however, various kinds of assistance are given in cooperation with various organizations such as schools and museums so that children become familiar with local traditional events and festivals and can participate in them. 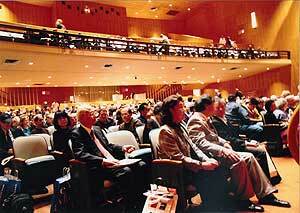 At the conference, advanced examples of such activities were reported, and active discussions were held thereon. 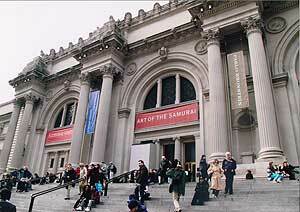 The details of the conference will be issued as a report in March 2010. 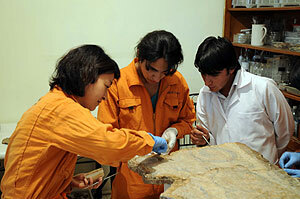 The Japan Center for International Cooperation in Conservation dispatched the 6th mission for Conservation and Restoration of Mural Painting Fragments in the collection of the National Museum of Antiquities of Tajikistan as part of an exchange program commissioned by the Agency for Cultural Affairs from October 4 to November 17, 2009. Together with the four Tajik trainees, we restored the mural painting fragments excavated from the Kara-i Kahkaha (Shahristan) site in northern Tajikistan in continuation of the previous mission. Joining the mural fragments of plant pattern excavated from the same site and cleaning were finished and securing the joined fragments on a new support (mount) was completed by the previous mission. As finishing work, in this mission we coated the missing part on the surface and the sides with filling agent and attached a bracket to the back. 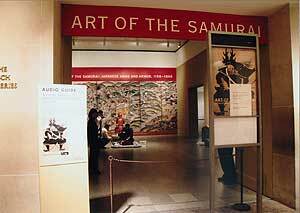 On October 28, we installed the mural paintings in the exhibition room of the Museum under the auspices of the Japanese Embassy Provisional Acting Ambassador in Tajikistan and the participants in the workshop of Conservation and Restoration of Mural Paintings unearthed in Central Asia 2009. All participants shared the delight of the Tajik trainees, who joined and cleaned the mural painting for themselves and first exhibited it. 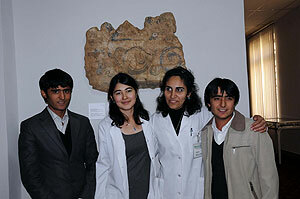 We will cooperate in fostering conservation experts in Tajikistan through the restoration/conservation work. As requested by the UNESCO Jakarta Office and the Indonesian Government, we surveyed the status of cultural heritage damaged in Padang struck by West Sumatra Earthquake on November 11 to 25. 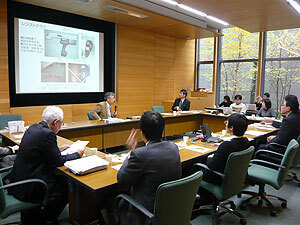 The survey was divided into a survey of historical buildings conducted by Mr. Shimizu Shinichi and Ms. AKIEDA Yumi Isabelle (at the Japan Center for International Cooperation in Conservation) and Mr. Takeuchi Masakazu (at the Agency for Cultural Affairs), and a survey on city planning carried out by Mr. Shuji Huno (at the University of Shiga Prefecture) and Mr. Takeuchi Yasushi (at the Miyagi University). The results of these surveys will be incorporated in the Padang reconstruction plan created by the Indonesian Government through UNESCO. 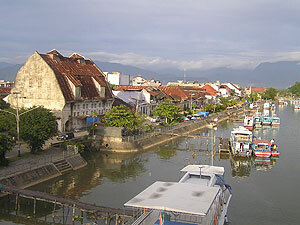 Padang is the provincial capital of West Sumatra, and the history of the city’s formation can be tracked back to the 17th century. The earthquake was large-scale, and many RC-structure public buildings and schools of three stories and greater were damaged, and a lot of historical buildings where residents were now living were also damaged. How to handle the recovery going forward while promoting community participation is a big issue going forward.